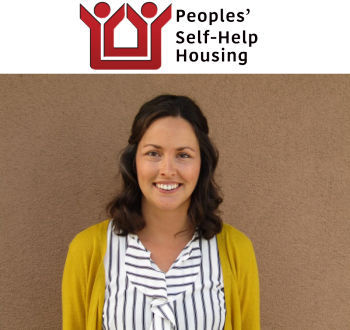 San Luis Obispo, Calif., June 5, 2017— Peoples’ Self-Help Housing (PSHH) welcomes Nicole Mercier as new Director of Human Resources, also managing HR needs for their property management affiliate, The Duncan Group. Nicole spent the past seven years as the HR Manager/Director at Level Studios, where she oversaw an employee group of 250 people across several offices in California. Nicole is a San Luis Obispo native and a graduate of California Polytechnic State University graduate. She loves living on the Central Coast and enjoys ocean kayaking, hiking, and exploring local wineries. Founded in 1970, PSHH is an award winning non-profit organization that develops affordable housing and community facilities for low-income households and homeownership opportunities for working families and special needs populations, such as seniors, veterans, the disabled, and the formerly homeless. With nearly 1,200 self-help homes completed and nearly 1,800 rental units developed, PSHH is the largest affordable housing developer on the Central Coast, with offices in San Luis Obispo and Santa Barbara. For more information on Peoples’ Self-Help Housing, visit www.pshhc.org, email communications@pshhc.org or phone (805) 781-3088.